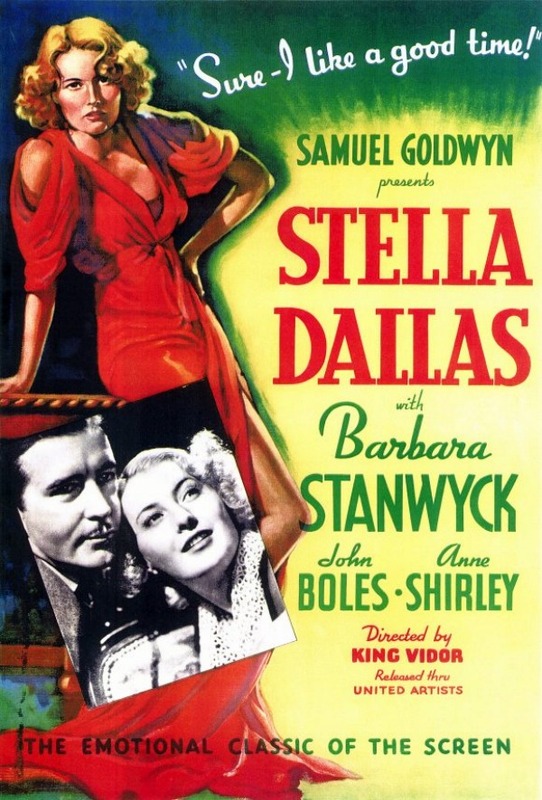 This is the second of three posts dedicated to The Second Remembering Barbara Stanwyck Blogathon being held over at In The Good Old Days of Hollywood and Maddy Loves Her Classic Films..
Tnx Crystal and Maddy for letting me take part! Brief Synopsis – A woman trying to climb the social ladder does all she can to make things better for herself and for her daughter. My Take on it – This is a film that I knew nothing about when I chose it for this blogathon. This is a movie that is worth seeing for the performance of Barbara Stanwyck in the lead and not much else especially since it drags along a bit too much. She carries the film with her performance and shows how great an actress she can e with such a role. The character’s arc is interesting to watch because it evolves ever so slightly yet distinctly throughout the film. Her opinions on things in society and everything else around here change over the course of the story yet she is still able to feel like she belongs. They do a nice job showing how society in Post World War I New England was and that works as a place for Stanwyck to thrive. Both Stanwyck and Anne Shirley (who portrays her grown up daughter) were nominated for Oscars in the Best Actress and Supporting Actress categories respectively for their work in this film. Bottom Line – Stanwyck carries this film with her amazing performance but the story itself drags along way too much. The way they show the social climate in post World War I New England is interesting to view and they manage to give a nice platform for the main character to thrive. Her character arc works well and we get to see over the course of the years how she changes her opinions on things when the things most dear to her also begin to change. Stanwyck and Shirley were both nominated for Oscars for their roles here as Best Actress and Supporting Actress.